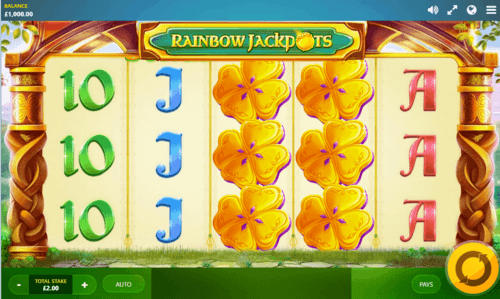 Have you tried out Rainbow-themed Online Slots yet? Here the master is the leprechaun with his magic wand that offers a pot of gold through the Irish themed slot. The game comprises of the standard five reels and three rows, set in an arch entry that opens you up to a typical Irish countryside. Its bright coloration does no small job to entice every player into a colorful day you would expect from a rainbow. Rainbow Jackpots slot game has an RTP of 96.15%, and the maximum multiplier can fetch you up to 1054. The range of bet is between 0.20 to 80 pounds. The winning symbols include the golden logo, which is the highest paying symbol of real luck. In the Rainbow riches uk slot game, Roseslots.com features another fantastic game that is storming the UK slot gaming world. The five reels and three rows of this game has a background of the colorful rainbow, combined with the Irish magical luck. Three amazing features that stand the game out include the pots of gold, the road to riches as well as the wishing well. Furthermore, the Rainbow riches portrays a highly-creative and fun bonus rounds and the pleasurable wild and scatter symbols. At the end of the rainbow, of course, lies the real significant wealth that you must have been waiting to have. The game has 20 paylines and an average RTP of 94-96%. 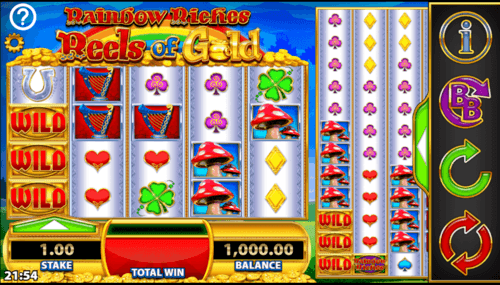 In a richly garden of golden branches, you get to play the fantasy Rainbow Wilds Slot Game. Not only that, but this game perhaps is the most colorful rainbow slot game due to the diversity of its various fruits that symbolize good returns for your money. 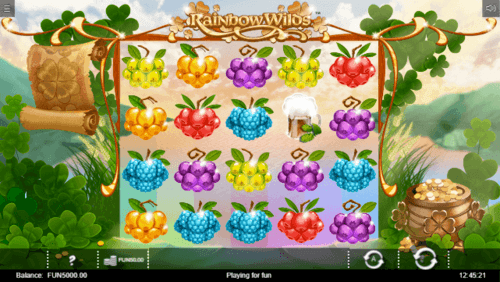 Let me make it clear to you at this point that the Rainbow Wilds Online Slot Game is a real money slot game that goes along with the famous Irish folklore. It is now left to a passionate player to do all he can to find the hidden pot of gold by a leprechaun. This exciting game has an RTP of 96% from a five-reel array and 1024 different ways to win a bounty. 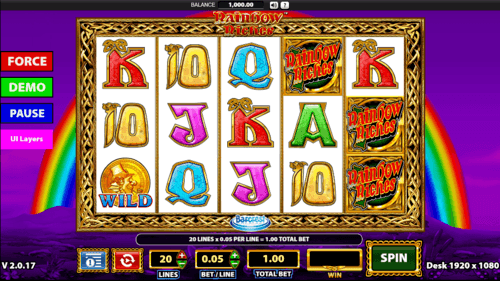 Rainbow Riches Reels of Gold uk online slot has a fancifully rich in lots of bonuses and wealth like from a gold mine. The magical fairy is one feature that makes this game extraordinary. This feature has its own seven different bonus features such as the Magic wild, Stacked wild, Butterfly wild and the Symbol upgrades. If you want more, watch out for the Big Bet Mode where you get five linked spins coming your way. In a way like never before, this online slot game has two sets of five reels, with 5 x 12 and 5 x 4 real-dimensions. The betting range on this slot game is between 0.01 and 500 pounds and also has an RTP value of 96%. 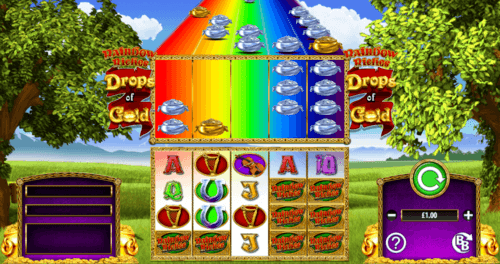 No matter the elegant, colorful beauty you have seen before, the Rainbow Riches: Drops of Gold slot convinces you that you are yet to see the best. You are in this game to truly unwrap the riches that lie at the end of every rainbow. As developed by Barcrest, the game has an attractive idyllic field, helping you in search for the pot of gold. Other than the pot of gold a winning symbol, the other is the Pot of Silver that replaces everything on your reel except the bonus symbol. The Return to Player rating for this online slot game is between 94 to 97.75% while the betting range is o.01 to 500 pounds.